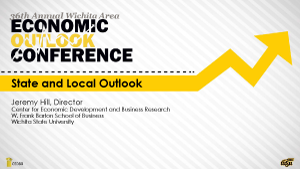 For a glimpse into the region’s economic future, business leaders are turn to Wichita State University’s Barton School of Business and Center for Economic Development and Business Research (CEDBR), founders of the Wichita Area Economic Outlook Conference. The purpose of the conference is to provide insight into current local and national economies, addressing topics of interest to the community, region and state. A combination of nationally known speakers and local experts will be on hand to provide perspectives on issues affecting business, industry, education and government. 7 a.m. on Thursday, October 1, 2015. 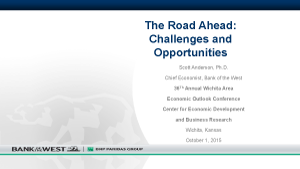 October 01, 2015 | Century II Convention Hall | 7:30 – 11:30 a.m.
Scott Anderson is a senior vice president and chief economist at Bank of the West. In this role he analyzes international, national and regional economic trends and provides forecasts for Bank of the West management, business lines and clients. An experienced economic advisor in the financial services sector, Anderson was recognized as one of the top economic forecasters in the country by Bloomberg and USA Today. Prior to Bank of the West, Anderson was a director and senior economist at Wells Fargo where he produced the macroeconomic forecast and was the author of the Weekly Economic & Financial Commentary, the Monthly Global Economic Outlook report, and the California and Minnesota Outlook reports. Anderson has also covered the major economies of Europe and Asia, most recently covering Japan, Singapore, South Korea and Taiwan. Anderson has held positions at Moody’s Analytics and the International Monetary Fund. He was appointed chairman of the American Bankers Association Economic Advisory Committee in 2012 and to the California Council of Economic Advisors in 2015 and to the Minnesota Council of Economic Advisors in 2010. 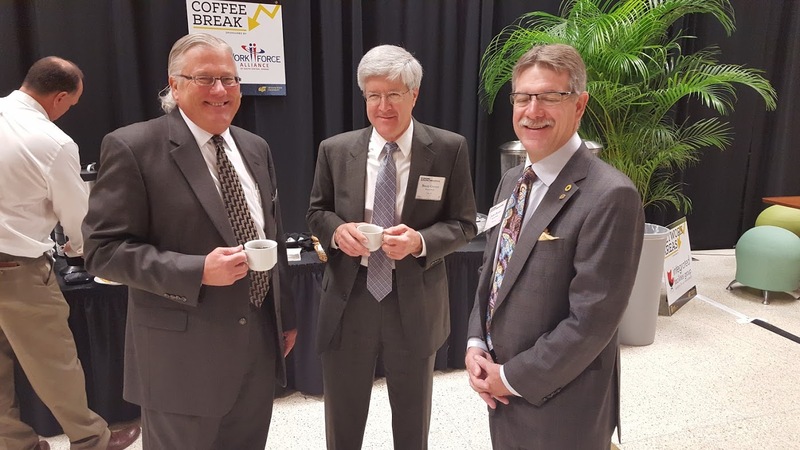 Among his numerous professional affiliations, Anderson is a member of the Federal Reserve’s Survey of Professional Forecasters and the National Association of Business Economists’ Macroeconomic Forecasting Panel. Anderson earned his bachelor’s degree in economics from the University of Minnesota and his master of philosophy degree in economics and his doctorate in economics at George Washington University. Scott’s economic research is widely read and cited by the financial and business community, and he has appeared in numerous print, television, and radio media outlets, including the New York Times, Washington Post, Los Angeles Times, Bloomberg, CNBC and NPR. 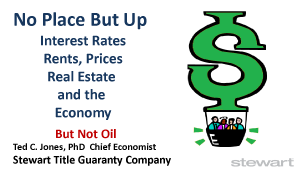 Ted C. Jones is the chief economist and senior vice president for Stewart Title Guaranty Company. Previously, he served as the first director of investor relations for Stewart Information Services Corporation NYSE-STC for 17 years, ending March 2014. Currently, Jones addresses the information needs of internal and external customers, conducts on-going research and supports economic and financial analysis for the company and its customers. Jones earned a Ph.D. in finance with a minor in statistics and a master’s degree in land economics and real estate from Texas A&M University. He holds a bachelor’s degree from Colorado State University. Prior to joining Stewart he served as chief economist at Texas A&M University’s Real Estate Center, the nation’s largest publicly funded real estate research group. Before that, he authored and taught the valuation and appraisal section of the Bachelor of Commerce in Valuation and Property Management at Lincoln College, University of Canterbury near Christchurch, New Zealand. An internationally recognized real estate expert, Jones has completed appraisals and property analysis in New Zealand, Australia, Canada, Mexico, the United Kingdom and the United States. Jones’ recognized specialty is applied real estate research. He has completed numerous mass-appraisal assignments, including more than $3 billion of income producing property owned by the Federal Deposit Insurance Corporation, retail properties, hotels, motels, offices, commercial land, multifamily housing, residences and numerous other special use properties. He completed a study on the impact of the Resolution Trust Corporation on real estate values and testified before the Oversight Board. His expert witness testimony has included analysis and evaluation of a solid rocket missile and carbon fiber plant, hydro, gas and coal-fired electric utilities and co-generation plants, an internal pipe coating plant in Scotland servicing the North Sea oil and gas production, and arguments on the treatment of deferred income taxes in the valuation of regulated public utilities. He has consulted The Boeing Company on property valuation issues relating to ad valorem property taxes at Boeing’s diverse aerospace and aircraft manufacturing plants in Washington. An accomplished speaker, he typically gives more than 150 presentations on real estate and the economic outlook each year. Representative real estate groups addressed include the National Association of REALTORS, National Association of Home Builders, National Association of Corporate Real Estate Executives, Fannie Mae, and the American Land Title Association, to name a few. He is a past member of the board of directors of the National, Texas and Houston Association of REALTORS and served as chairman of the board of the Houston Association in 2004. Hill has been involved in a number of national and regional organizations, including the Association for University Business and Economic Research, for which he currently serves as president-elect, the National Association for Business Economics, and the Kansas Economic Development Alliance. Lou Heldman is responsible for communications and marketing at Wichita State University. He serves as a member of the President’s Executive Team and the board of directors of the Wichita State Innovation Alliance. Heldman’s previous roles at the university included interim director of the Center for Entrepreneurship and of the Elliott School of Communication. As the university’s Distinguished Senior Fellow in Media Management and Journalism, he taught communication courses and business seminars centered on the impact of the Internet on media, business and society. Prior to joining the university in 2007, he had a career in newspapers and websites, including as president and publisher of the Wichita Eagle and Kansas.com, the state’s largest newspaper and most visited news website. As managing editor in Fort Wayne, Ind., he led staff news coverage that was awarded a Pulitzer Prize for local reporting. He also worked as an editor at newspapers in Miami, Tallahassee and Detroit. In Miami, he was part of the team that created the Spanish-language daily El Nuevo Herald. Immediately prior to coming to Wichita in 2002, he was president and publisher of the Centre Daily Times, State College, Pa. He is a graduate of Ohio State University and of the Program for Management Development at Harvard Business School. Trish Brasted, an entrepreneur and active angel investor, currently serves as president and chief executive officer of Wichita Technology Corporation (WTC). Brasted also serves as managing member of Wichita Technology Ventures (WTV), an early-stage technology fund, and as managing member of the Midwest Venture Alliance, a Kansas-based angel group. All of these affiliations serve high-growth entrepreneurs in the region. Brasted has a long history in finance and entrepreneurship and understands the risks that entrepreneurs face, the courage it takes to start a new venture and the process of growing a successful organization. Her passion for young businesses, growth opportunities and helping entrepreneurs succeed has paved the way for many years of success in early stage ventures and investment management. Under her leadership, the WTC team has provided hands on business building assistance to several hundred entrepreneurs and has invested seed capital dollars in more than 75 technology companies, representing over 100 patented technologies in diverse technology areas. Brasted earned her bachelor’s degree from Wichita State University and her master's of business administration from Baker University. Brasted currently serves on the boards of several private technology companies and is frequently asked to present her expertise on accessing venture capital and angel investing. 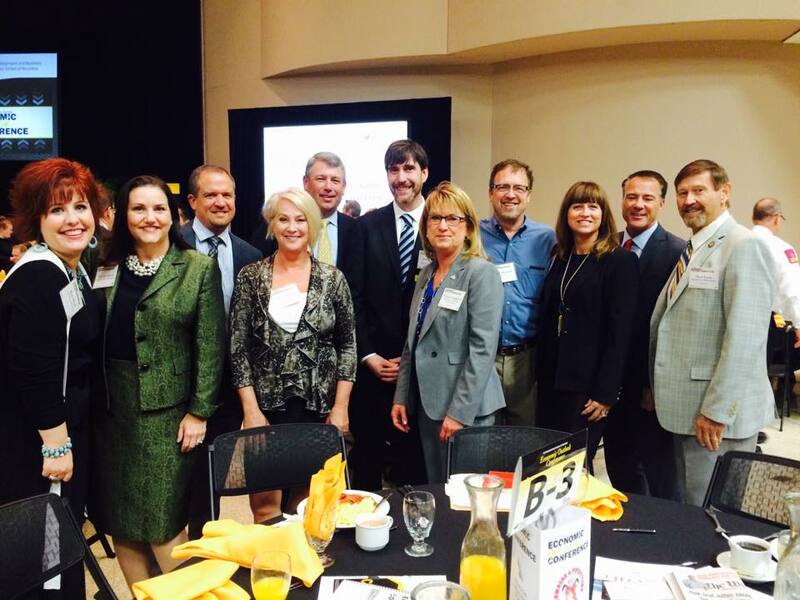 In August 2014, Dr. Cindy Claycomb was named director of Wichita State University's newly formed WSU Ventures. WSU Ventures reports to Dr. John Tomblin, Vice President for Research and Technology Transfer. Claycomb also serves as assistant to President John Bardo, with responsibility for strategic planning. 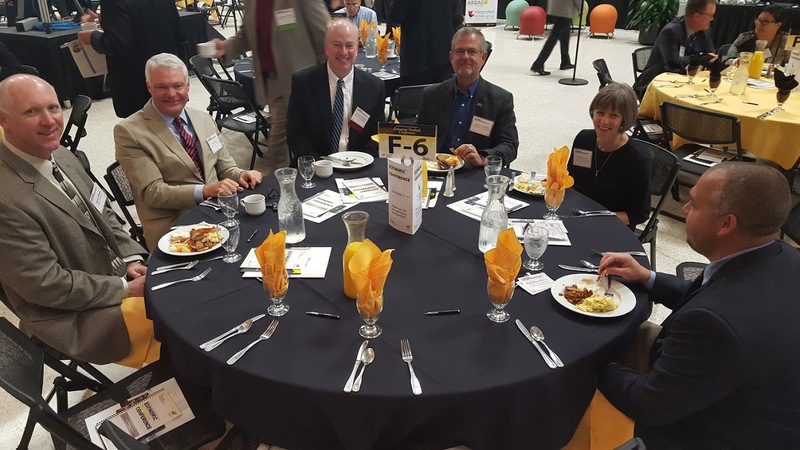 WSU Ventures engages in three primary activities: protecting and licensing of WSU inventions; connecting industry with WSU researchers; and linking WSU researchers and technologies with start-up potential to investors and entrepreneurs. WSU Ventures' goal is to create new products, businesses, and jobs that improve the quality of life for Kansas and beyond. 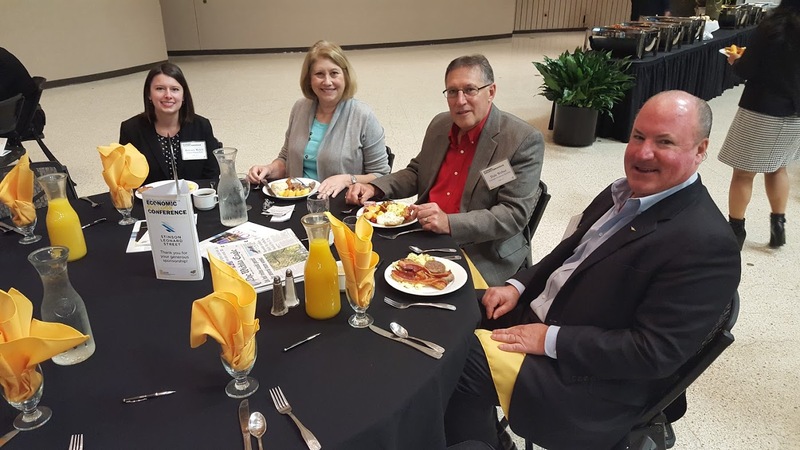 Dr. Claycomb joined the Wichita State University faculty in 1994, as an assistant professor of marketing and entrepreneurship in the W. Frank Barton School of Business. She was promoted to full professor in 2006. June of 2013, Dr. Claycomb was appointed Interim Dean, W. Frank Barton School of Business. A native of Wichita, she received her bachelor of business administration and master of business administration degrees from Wichita State University, and her doctorate from Oklahoma State University. Claycomb has twelve years of experience in industry. She held several corporate management positions in her ten years with Pizza Hut, Inc. (a division of PepsiCo). She won the W. Frank Barton School of Business Researcher/Writer of the Year award in 2000 and 2004. She earned Barton Fellow awards in the W. Frank Barton School of Business for 2002 to 2003 and 2011 to 2013. 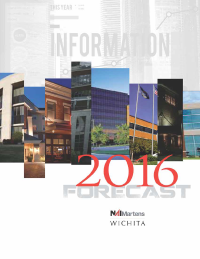 Tom Johnson is president and director at NAI Martens, the largest full-service real estate firm in Kansas. Johnson has been a member of the real estate and business community for over 40 years. As a commercial real estate business owner, broker, manager and consultant, he has developed a diverse resume. He has directed and conducted market research, feasibility studies, disposition and acquisition advisory services and corporate counseling in over thirty states. Johnson is one of only 1,100 real estate professionals worldwide who hold the invitation-only “CRE-Counselor of Real Estate” designation. He has served as a speaker, guest lecturer and consultant on marketing, research, feasibility analysis, brokerage management and planning and general real estate and business topics for numerous university groups, corporations, institutions and civic organizations. Johnson specializes in investments sales and advisory services, corporate services and consulting, and market research and feasibility analysis. He is a member of the National Association of Realtors, the International Council of Shopping Centers, and founding member of the Wichita Commercial Realtor’s Council. Johnson is also past president of the Wichita Area Association of Realtors and is active in numerous civic and professional organizations. Stanley D. Longhofer holds the Stephen L. Clark Chair of Real Estate and Finance in the Barton School of Business at Wichita State University and is the founding director of the Center for Real Estate. In this role, Dr. Longhofer provides research services and educational programs to real estate professionals throughout the region and is the author of the Center’s annual Kansas Housing Markets Forecast. His insights regarding real estate market conditions are widely quoted in local and national media outlets, including the Economist, Forbes, USA Today, and the Christian Science Monitor. Dr. Longhofer earned his M.S. and Ph.D. degrees in economics from the University of Illinois, and holds a B.B.A. from Wichita State University. Sheryl Wohlford is the president and co-owner of Automation-Plus, Inc., a small manufacturing company that was founded in 1987 by her husband. Wohlford is a graduate of Wichita State University where she earned her bachelor’s degree in health care administration in 1982. She currently serves on boards for the Wichita Community Foundation, WSU Board of Trustees, the Greater Wichita Economic Development Coalition, WSU National Advisory Council and Surency Life and Health. 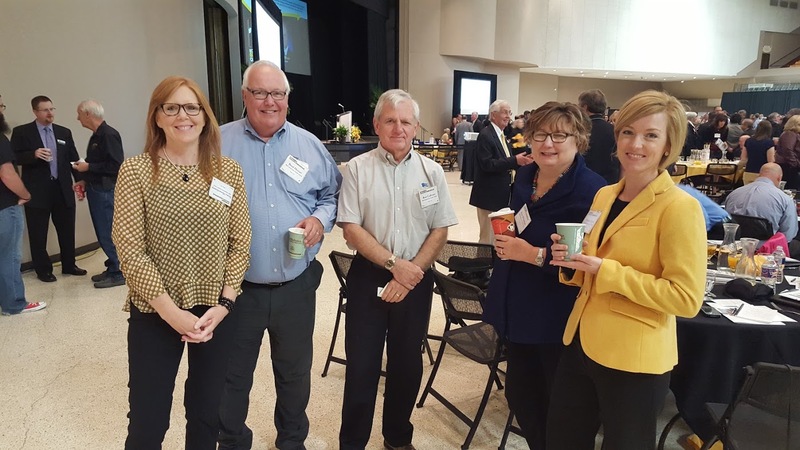 Wohlford has been very active in the business community having served in board roles for the Sedgwick County Zoo, Rotary Club of Wichita, Wichita Metro Chamber of Commerce, Young Professionals of Wichita, American Red Cross, Kansas Chamber of Commerce, and more. She has been honored in the Junior Achievement Hall of Fame and received the WSU Board of Trustees Award. Wohlford was also given the WSU Alumni Young Alumni Award and Recognition Award, and received recognition among the Wichita Business Journal’s 40 under 40 in 1998. Steve Dixon is the President of P.B. Hoidale Company in Wichita, Kansas. Hoidale is a fourth generation family business specializing in the distribution, installation, and service of fluid management and fueling systems throughout Kansas, Oklahoma, and Missouri. Mr. Dixon serves on the board of directors for the Petroleum Equipment Institute, the international trade association for petroleum equipment distributors. Steve is also active in several community organizations, including United Way of the Plains, Firm Foundations Ministries, and Pathway Church. He is a graduate of University of Kansas with a bachelor’s in political science, and juris doctorate from the School of Law. Steve and his wife Julie remain busy raising two very active children, and when not attending practices, games, or races, enjoy traveling and making dinners together. Anand S. Desai was appointed dean of Wichita State University’s W. Frank Barton School of Business, effective July 1, 2015. Prior to moving to Wichita, Desai held academic leadership roles at Kansas State University spanning 17 years. At the time that Desai accepted his appointment with WSU, he was the associate dean for academic administration in the College of Business Administration at KSU. Desai’s roles at KSU also included his time as head of the finance department, where he recruited high quality faculty, increased private funding for both scholarships and faculty support, and grew the department's advisory board. In 2008, he was appointed associate dean and director of undergraduate programs. In this capacity, he directed the recruitment, retention and advising of undergraduate students, and provided leadership in ensuring a current and relevant undergraduate curriculum in business. Desai’s experience in academia additionally includes his time in the finance faculty at the University of Florida, University of Michigan and Iowa State University. His teaching interests are in corporate finance, investments and derivative markets, and he has taught finance courses in Germany, Italy and France. His research has focused on capital market efficiency, capital market reactions to corporate acquisitions and market microstructure. Two of his co-authored research papers published in the "Journal of Financial Economics" are widely cited as seminal papers in the area of corporate acquisitions. Desai and his wife, Jayshree, enjoy traveling in their free time and exploring different cuisines. They have two grown sons.